"Come back and make up a good-bye at least. Let's pretend we had one." Normally, relationships would dissolve with a formal acknowledgement. In this case however, Clementine and Joel never actually said goodbye, they just decided to eliminate each other from their memory. 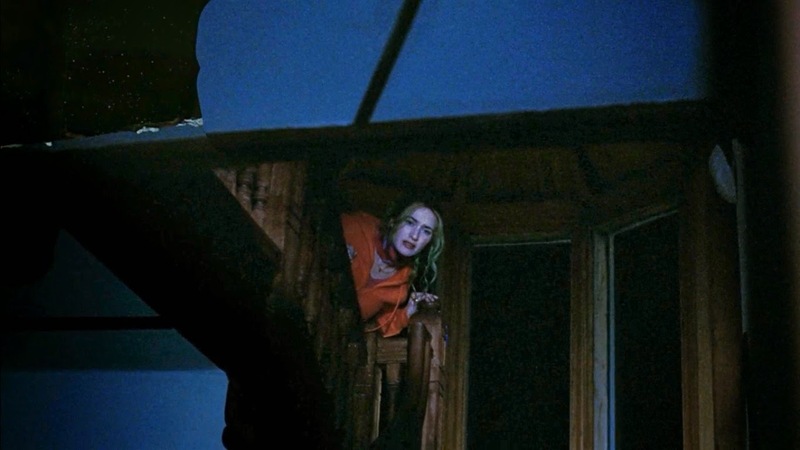 So now he's filled with regret, watching her fade away into the darkness with those final memories crumbling down like that beach house. In this moment, Joel is finally accepting some of the blame in pushing Clementine away. His cowardly departure in their original beach house encounter is repeated somewhat in the form of their present-day procedures. Of course, it's likely that his cowardice may just be an indication of their incompatibility. Clementine may be a manic pixie dream girl, but she's much less codependent than he is. As I stare at this image then, I wondered...is Clementine really a ray of light or just a vice that will eventually bring Joel back into misery and destruction? It's a question that many persons face when entering potentially destructive (albeit passionate) relationships. It's true that love can be painful, but loneliness can be just as depressing. Like the film's pitch-perfect ending then, we therefore owe it to ourselves to give love the "old college try". 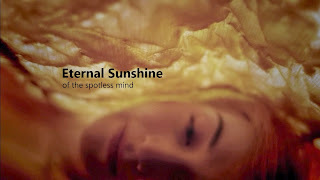 Kate Winslett's performance in Eternal Sunshine of the Spotless Mind was well done and a pleasant difference from some of the more rational and passive roles that she's played. I like that she has mixed it up a bit throughout her career. It's interesting how the most painful and destructive relationships are very passionate to the point that it seems like the good and quality relationships are supposed to be dull. The funny thing is, I didn't see the storyline with Claire Danes' character coming, not even from a mile away. Talk about the tides turning on that one! Such a smart script, right? I didn't expect that storyline with Kirsten Dunst either. Thanks for the comment, Nicole! I've only seen this flick once and I should really watch it again sometime. Pretty haunting shot you chose. You totally should! It gets better every time. Thanks for the comment.